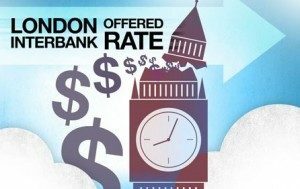 It seems the alternative media has been caught in purveying disinformation concerning the recent shootings in Connecticut, the father of one of the shooters, Peter Lanza and the London Interbank Offered Rate (LIBOR) scandal. In fact, research proves that Lanza has no ties to the LIBOR debacle, nor is there documentative evidence that Lanza is scheduled to testify at an upcoming hearing regarding the technocratic scheme. 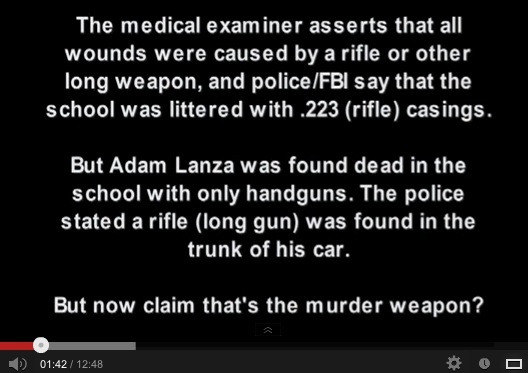 No citation links are provided to corroborate this assertion – simply the illusory connection is made which seems to be enough to shift an entire social meme and cause distraction from the actual factual evidence emerging about the shooting; as well as the implications of this event with regard to the 2nd Amendment. The rumor circulating the internet is based on assertions without evidence, which is being paralleled with the assumptions made about James Holmes’ father and another alleged connection to LIBOR simply because Holmes’ father is a computer economist at FICO. In fact, a known disinfo agent was the originator of the Holmes/LIBOR connection, although the alternative media masses continue to repeat the lie without checking their facts. Another alternative media source has ties to purveying the rumor as fact without providing evidence with their social networking site as well as commentary that misleads the public in a thread at the bottom of an article concerning the recent shootings at Sandy Hook elementary. 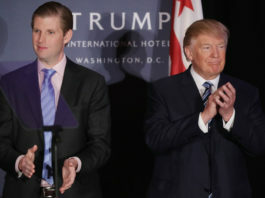 According to Lanza’s Linkedin page, Lanza has worked “closely with many of the preeminent partnership tax advisors in the United States on a daily basis.” Currently Lanza is employed as the tax director and vice president of taxes at GE Energy Financial Services (GE-EFS). Cited in mainstream media, GE has been successfully evading paying taxes for some time now. Although the corporation reported global profits of $14.2 billion with $5.1 billion of that total being attributed to American operations, GE claimed a tax benefit of $3.2 billion. Lanza, would have contributed to the success of GE evading corporate taxes in the US. With the use of lobbyists on Capitol Hill, the abuse of tax breaks and creative accounting, GE has been able to pay low tax rates in the US; as well as move their monetary assets into offshore bank accounts. While President Obama claims to want to reign in the corporate tax system and stop multi-national companies from cheating the system, he appointed Jeffrey Immelt, GE chief executive, as his chairman on the President’s Council on Jobs and Competitiveness, as well as liaison to the corporate community and expert on corporate taxes. The originator of the unqualified information about Lanza and LIBOR appears to be a member of the CIA-controlled and NSA-sponsored nameless, faceless hacker group Anonymous. Again, there are no citations provided that back-up these allegations, but that is not the point when disinformation is being spread across the alternative media circuit. Propaganda does not require evidence to prove itself. It simply utilizes the ignorant masses that believe what they see and tend to repeat the lie as fact to their friends; family; repost to message boards, comment threads, social media sites which props up the lie until the truth no longer matters. The reality of the shooting in Connecticut, as well as the previous shootings this year, is the beginning of a national call for gun control and the demise of the 2nd Amendment. 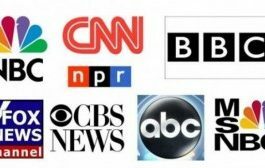 Supporting the coming national debate is the mainstream media as they attack the survivors and victim’s families for verification on the facts of the incident. This information would only serve to propagate future discussions about gun control and legislation to restrict American’s ability to exercise their 2nd Amendment. 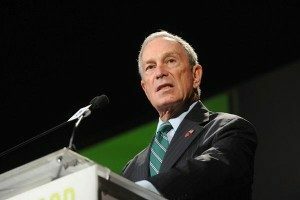 As a member of the coercive network called Mayors Against Illegal Guns (MAIG), Bloomberg is one of 600 mayors across the nation that would like to see massive restriction of the 2nd Amendment under “commonsense reforms”. Bloomberg has contributed considerable financial donations to MAIG, along with the Joyce Foundation, a globalist Chicago-based non-profit organization started by Valerie Jarrett and Barack Obama. At the time this article was written, there were 124,626 signatures of support amassed for this petition. The Columbine shooting, which is still misrepresented in the mainstream and alternative media, was used to instill the Violent Crime Control and Law Enforcement Act of 1994 which identified semi-automatic firearms, or assault weapons” as dangerous and removed them from the hands of all Americans for 10 years. Since then, the renewal of this restriction of the 2nd Amendment has not been approved by Congress. Senator Dianne Feinstein said last week that “the president will soon have legislation ‘to lead on’ in the gun control debate.” Feinstein is heading the march against the 2nd Amendment with the introduction of a bill into Congress in January of 2013. This document is just now being drafted with a proposal for the US House of Representatives. 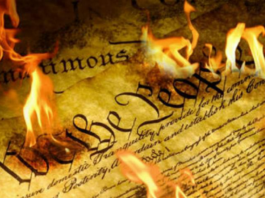 And while alternative media is spinning their wheels on disinformation and unsubstantiated allegations between Lanza and LIBOR, the Obama administration is setting the stage and implementing the necessary legislation to finally destroy our Constitutional right to bear arms and protect ourselves from this tyrannical government.